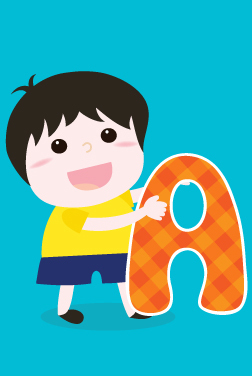 A is probably the most significant letter, as it is the beginning of the alphabet. It is that people with names strating from A are ‘movers and shakers’ of the world. Therefore, A is a mighty initial to give your child. Babies with names starting with A have innate confidence. They make excellent leaders and always prove that they are capable of taking charge. Besides, these people are incredibly ambitious and motivational. They do not let their opinions get swayed by anyone. People with names starting with A do not get intimidated easily. They do experience fear, but they rise by channelizing their fears to reach their goals. They have only one weakness, and that is they do not listen to others. They must learn to let people around them have a voice. Every letter of the alphabet has a numerical value, and A's value is one, which is another powerful element. So parents, if you want your mini version to be independent, feisty, but also influential and charming, go for a name starting with A. From Aaquil to Azzouz, we’ve got hundreds of baby names starting with this initial in MomJunction's list. Take a look!